Authentic ~ Keep it 100 Made in USA All Flavs Free Shipping! 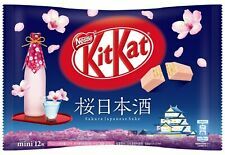 Nestle KITKAT JAPAN 1 BAG (12P) Mini BARS. 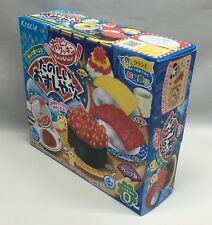 These are released only in Japan. One Bar Weight About : 12g. It takes 3 weeks-5 weeks to arrive. 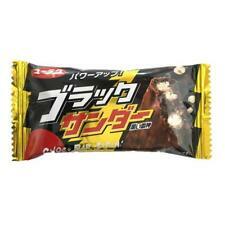 Black Thunder Chocolate 1 PCS Cocoa Cookie Crunch. Japanese Candy Chocolate New. NEW popular Japanese Chocolate. We appreciate your understanding in this matter. If you want other flavor Kitkat. Miracle Fruit Tablets are 100% pure freeze dried Miracle Fruit. The product are all natural and are made from the finest hand selected miracle berries. 100% authentic and 100% honest, contains no colorants or cheap fillers. 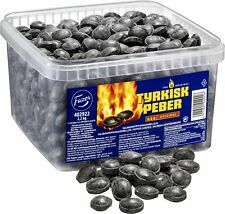 Chewy Candies in a Crisp Sugar Shell with Fruit Flavours. Only one rainbow matters thus pride. Give the rainbow, taste the Rainbow Rainbowless Skittles in celebration of pride. Enjoy the mystery mix. A perfect Easter treat! Go on, have a fling! The very best of British Chocolate. Trending at C $7.88eBay determines this price through a machine-learned model of the product's sale prices within the last 90 days. 2 Milk chocolate fingers. Two twirly milk chocolate fingers covered in smooth Cadbury milk chocolate. Cadbury Crunchie (4 x 26.1g Chocolate Bars) 104.4g Cadbury Crunchie (4 x 26.1g Chocolate Bars) 104.4g Cadbury crunchy have a golden honeycombed centre surrounded by delicious Cadbury milk chocolate. These milk chocolate are made with a glass and a half of fresh milk. · It might take more than usual by any unpredictable events including weather condition, no nonstop. Kracie Happy kitchen Sushi x1. For world wide. If you want other flavor Kitkat. Japanese Kit Kat White Peach Airport Limited Edition Nestle 3 Mini Bars, FS. Chocolates mini 3 bars/ bag. Goods : Chocolate Flavor : Choco-Mochi （Chocolate rice cake) Quantity : 7 pcs Manufacturer : Tirol Choco Shipping fee : FREE Tracking service : No If you have any needs for other Japnese items, please let us know. We can make best effort to make it available. 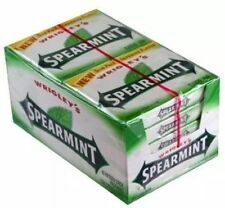 It is the only sugar free gum in Turkey and has been voted tooth friendly by Zurich University in 1996. FALIM CHEWING GUM. Available in a 160g box containing 105 sticks. 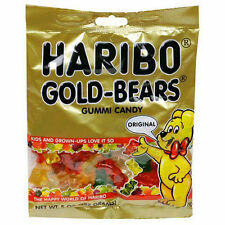 Their taste is mostly like natural gum with little aroma. Flavor: FLAVONO Breath Refreshing Mint. (USD 5.00). Item Condition: New. DIRECT FROM GERMANY TO YOU. ORIGINAL GERMAN. 6 mouth watering flavours Made with concentrated fruit juice Clearly better sweets No artificial flavours or colours Suitable for vegetarians Fruit flavour boiled sweets. Back in 1897 the Fox family started producing sweets. Fox's Glacier mints have been made in England since 1987. 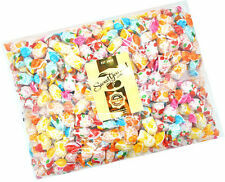 They are a clear hard mint flavored candy, which is long lasting when allowed to dissolve in the mouth. Only the best ingredients are used in Fo'x Glacier mints. Dark chocolate flavoured with real orange. 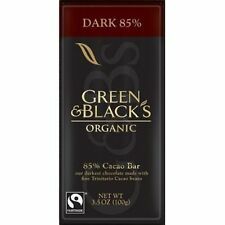 Rich dark chocolate flavoured with real orange oil. HAOLIYUAN Chewy Fruit Milk Candy Taro Banana Corn Lychee Grape Watermelon 67g. The Queen Cocoa and Chocolate Manufacturers Cadbury UK Ltd., Bournville. 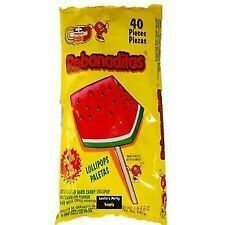 100 PCS Bubble Gums. Freshly produced by Kent-Gida factory in Turkey. Kent-Gida is the only official supplier of Love Is chewing gums. Assorted flavors LOVE IS. MIXED FLAVORS SEALED BOX. - All 5 flavors included -. Goods : Chocolate Flavor : Matcha-Mochi （Green Tea） Quantity : 7 pcs Manufacturer : Tirol Choco Shipping fee : FREE Tracking service : No If you have any needs for other Japnese items, please let us know. We can make best effort to make it available. Milka & LU. Cookies Chocolate Alpine Milk - Biscuits. Exp.Date : always the fresh date. factory fresh from Germany. KitKat Strawberry. to the following countries. KitKat Dark Matcha. to the following countries. Maker:Fujiya, Japan. Best Before Date: December 31, 2019. If you want other flavor Kitkat. Japanese Kit Kat Wa-Ichigo Strawberry Airport Limited Edition Nestle 3 Mini Bars. Chocolates mini 3 bars/ bag. FlavorFresh Fruit. Size50 piece. Expiration Date: 9/2019 or later. Product Specifications. 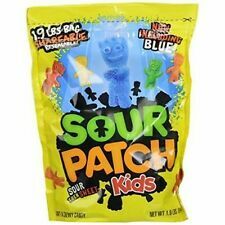 WARHEADS 1.75 oz Bottle EXTREME SOUR MINIS Hard Candy FLIP TOP 5 Flavors New! Hershey's Mr. Goodbar Milk Chocolate Peanuts Candy Bars, 1.75oz. 36ct.